When discussing how to use herbs to build up your vital energy so that stress isn't tearing you down each and every day, we need to discuss adaptogens. 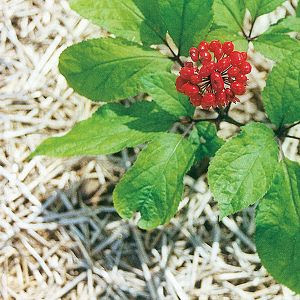 Simply, an adaptogen is a substance that helps you adjust to stress. How do adaptogens work? Adaptogens work by normalizing body functions and strengthen systems compromised by stress; they are reported to have a protective effect on health against a wide variety of environmental assaults and emotional conditions, while they conserve energy within the body. The best effects of an adaptogen will only follow with continual use; taking an adaptogen is like putting a dollar in the bank each day. In his well-known book, Why Zebras Don’t Get Ulcers: An Updated Guide to Stress, Stress-Related Diseases and Coping (Freeman 1994, second edition 1998), for example, Sapolsky examines how prolonged stress can cause or contribute to damaging physical and mental afflictions. His lab was among the first to document that stress can damage the neurons of the hippocampus. At the Optimal Health Center, we work with a tool called the Adrenal Stress Index test, which continually points to stress as a cornerstone of most of the health imbalances that people come to the clinic to resolve. With the individual results of the ASI, we will recommend a variety of adaptogens - eleuthero, licorice, panax ginseng, rhodiola, and ashwaganda.